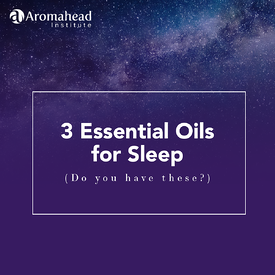 In this newsletter, you’ll find essential oil blends for getting a better night's sleep and waking up refreshed! Lavender and I sat down to write this newsletter together . . . but Lavender was having trouble focusing. You see, Lavender didn’t get enough sleep last night and wasn’t feeling so alert. But if you can’t answer quite so enthusiastically, you are really going to like this month’s newsletter! It’s all about using essential oils to sleep well and wake up feeling refreshed. Feeling restless and unable to sleep is no fun at all. It can affect how you feel the next day, your ability to focus, and over time it can even impact your health. Fortunately, this is an area where essential oils can really help us! There are so many oils that can calm an overactive mind, soothe anxiety, and relax the nervous system. This month’s newsletter includes recipes with Green Mandarin, Bergamot, Vetiver, and (of course!) Lavender. There are a lot of ways we can use essential oils for sleep. Diffuser blends, inhalers, bath salts, linen sprays, room sprays, body lotions, and more. One of my favorite combinations is taking a warm bath with a soothing bath salt, then using a linen spray when I tuck myself in. So calming! Enjoy these restful recipes . . . just be sure not to fall asleep while you’re reading the newsletter! Well, I mentioned that one of my favorite ways to use essential oils for relaxing is to make a bath salt . . . so I just had to give you a bath salt recipe! This one is made with Vetiver and Sweet Orange. Follow this up with a sweet-sleep linen spray . . . Pure Vetiver hydrosol would be perfect! A few spritzes of the hydrosol on your sheets and around your room can help you slip right off to sleep. I want to share a diffuser blend that you can use help yourself get to sleep, and stay asleep so you feel really refreshed and vibrant the next day. Getting enough sleep is a popular reason that people turn to essential oils. There are a lot of essential oils that can help calm overthinking and soothe the nervous system. This blend includes three of them: Lavender, Green Mandarin, and Bergamot. This is actually a stock blend recipe, which means we’re making more than we need for a single session of diffusing. We’re going to use a 5 ml bottle with an orifice reducer, and this blend can actually last several weeks or months depending on how often you use it. Do you have any fun plans for October? How about going to an Aromatherapy conference? NAHA’s 2018 conference is taking place next month in Salt Lake City, Utah! It’s called Beyond Aromatics. NAHA’s conferences are always a great time! They have amazing speakers lined up this year, including Gabriel Mojay (author of Aromatherapy for Healing the Spirit, and my good friend!) 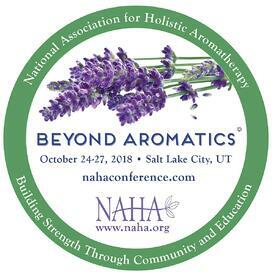 The conference is a great way to learn about the work that people are doing in Aromatherapy all around the world—the latest innovations and research, case studies, and how people are using Aromatherapy in more conventional and clinical medical settings. And that is just the beginning, there is so much more! This is not the kind of conference where you just sit and listen to lectures. You also have the chance to learn by attending hands-on Aromatherapy workshops, go to a great trade show, tour the beautiful gardens on the conference grounds, and make friends and contacts who share your love for essential oils. Make your October plans here! Piñon Pine (Pinus edulis) essential oil comes from the same tree that gives us pine nuts. Its aroma is fresh and piney, like other conifers, but it also has hints of citrus that remind me of pineapple. 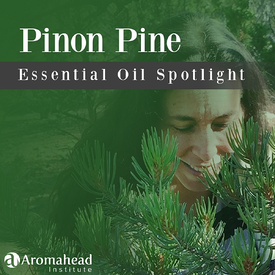 This month’s Essential Oil Spotlight will show you how to use Piñon Pine for natural cleaning, allergy relief, massage oil, and more. Imagine something with me . . . you go into a store that you’ve never been to. You know what you’re looking for but you aren’t sure where to find it, and this place is BIG! You wander around thinking “I can probably find what I’m looking for . . .” But after awhile you feel a little lost. Then someone who works there asks if they can help. Talk with them immediately clears up your confusion! They are friendly and warm, and they’re able to take you to exactly what you’re looking for. That personal connection means you’re more likely to buy something and to come back in the future. A sense of comfort and friendliness goes a long way toward making us feel welcome. This is a good dynamic to be aware of when you’re running a business, isn’t it? Especially if your business is online. It’s one thing to get visitors to your website, but if they don’t know how to use it or where to find information, they might not feel connected enough to stick around (or become a client). This is where LiveChat can help! LiveChat offers pop-up chat boxes for websites that greet your customers and offer assistance right away. They also have the option for keeping the chat box hidden until someone clicks on it, or until you decide to invite someone to chat. When someone does decide to use your LiveChat box, they are connected right away with your customer support team. This is a great way to help customers feel a personal connection, even if they’re online, so they feel comfortable and welcome at your business. 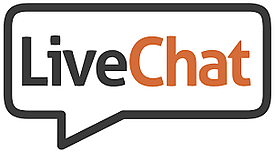 LiveChat has a free trial. Visit their website to learn more! Have you ever wondered which essential oils help you get a good night's rest? 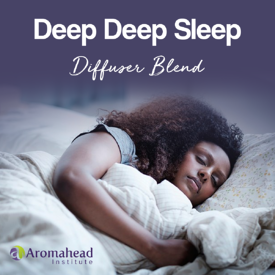 If you’re one of those people that have trouble falling asleep or wake up in the middle of the night, then you are going to love this essential oil diffuser blend for sleep! This diffuser blend combines 3 beautiful relaxing oils that will help calm your mind, and it smells really great too. Cedarwood Essential Oil is such an earthy, calming, centered oil. Neroli/Petitgrain Co-Distill Essential Oil is a beautiful oil that is calming to the nervous system and eases an overactive mind. And who can resist adding a little Lavender Essential Oil, it’s so centering and smells amazing!